When I started this blog in July of 2017, I was looking for an alternative to my ongoing participation in on-line tarot forums and occasional publication in various tarot newsletters and journals, mainly as a personal outlet for the ideas I’ve been honing over more than four decades of studying and working with the cards. My forum friends had been encouraging me to write a book, but the time and effort involved in doing so were more than I wanted to take on, so I opted for a more condensed format. (Besides, there are plenty of competent “how-to” tarot guides on the market already, so I would probably be tempted to write “A Curmudgeon’s Dim View of Modern Tarot Practice.”) Along the way, although it certainly wasn’t my intention when I began, I seem to have become something of a minor master of the three-paragraph, 500-word mini-essay (which is in fact the minimum article length for the professional publications that indulge my creative-writing forays). I have now posted over 270 of these snippets of “wisdom” and opinion, and site traffic has been slowly increasing over the last month. Hi Barleywine. This is Barleywine from the Aeclectic forums, right? I read many of your contributions to those discussions with interest. I went by the name Herodotus on the forums, and when they were closed, I never went to a new one. The forums at Aeclectic were instrumental in introducing me to the cards and helping me learn the basics and find resources, but these days I prefer to just hide behind my own blog and let the online forums and communities move on without me. I enjoy reading and writing more than anything else, and I’ve found that the blog world provides me with plenty of opportunities for both without having to directly engage with people (talk about anti-social, right?). Anyway, I often read your posts here (although certainly not all the time – you are quite prolific in your writing and I can’t always keep up) and I almost always enjoy them, or at the very least, gain some new insight from them. Blogs are certainly not geared for discourse in the way forums are, even with the comment sections, and I tend to reserve my comments only for the times when I feel like I’ve got something to actually contribute. But read this post and figured I’d say something. Sometimes the wilderness will howl back. I’m from Pennsylvania, actually, but that hardly matters. My online Tarot persona is pretty anonymous, so I wouldn’t expect most people to know where I write from. I do enjoy curmudgeon mode, but I look forward to instructive posts, as well. I totally agree with Sentinal/Herotodus. I also enjoy reading what you have to say even if I don’t always fully understand, and your spreads are fun to have a play with and muddle my way through. Actually, I am about to go give your PB&J spread a go! I only recently found your blog and have been reading it with much delight. I was a member on AT for many years (but mostly a lurker, I must admit). 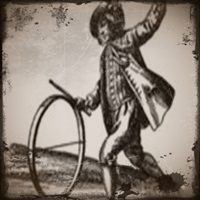 I am a now also a member of the cartomancy forum but still lurking and not yet participating. I am from Sweden and have been using tarot cards for about twenty years now (I started out with regular playing cards at the age of 12, but was gifted a tarot deck by the age of 14 and have been loving it ever since!) I must say I was surprised to see how few comments your blogposts were getting. I think they are really well put together and hope you keep them coming. This comment is my way of saying Thank You for the time you put into this blog, it makes the void of AT closing down a little bit smaller. Thanks for the kind words. I was an active contributor on AT for around six years and moderated the Lenormand forum towards the end. I was also sad to see it go, and the replacement forums don’t seem quite as vital, probably because the AT refugees are spread thinly and some never came back. I miss the ‘tarot special interest’ section the most. I feel that these new forums are mainly discussing ‘what’s the postman bringing’ and how to do some basic interpretation. I myself try to limit the amount of decks that I buy, simply because I feel swamped otherwise and don’t have the time to really study them. I have used RWS extensively for most of my tarot-years but am studying some Marseille as of recently. My main focus in my ‘studies’ have always been history, symbolism, dignities and such. While I surely use my intuition when reading my cards, I still firmly believe that one should have a solid basis in (or at least knowledge and respect for) tradition. One could argue that I myself should start some new threads about the topics I would like to discuss, but I guess I am not sure that it would reach the right crowd or be of interest to anyone. (Plus, me having English as my second language can sadly hold me back sometimes). I’ve pretty much stopped posting complex topics in the forums because they sit there with zero responses forever. At least here I can amuse myself with the sound of my own voice, and maybe reach a more thoughtful audience. I appreciate your input.